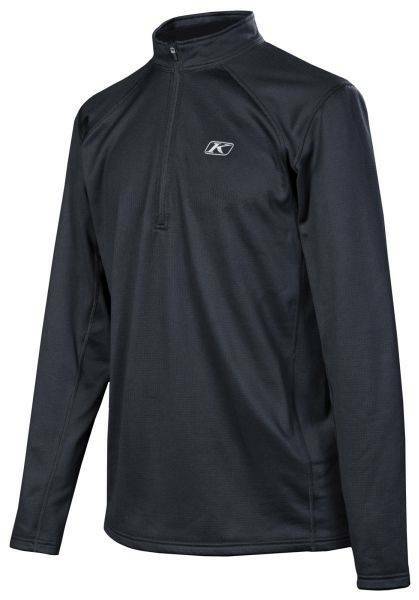 The newest addition to KLIM’s Intelligent Base Layer lineup is the Defender ¼ Zip Shirt. Featuring a medium-weight micro-grid polyester blend knit main body material, the Defender Shirt features more warmth than the Aggressor series with low bulk and ultimate freedom of movement. Easily one of the most comfortable multi-use shirts KLIM offers, the Defender ¼ Zip Shirt will soon be seen all over the snow scene.